I am onto another book and this one I'm sure I've seen on yarn along posts but cannot remember who was reading it. The title is a l-o-n-g one The 100-Year Old Man who Climbed Out the Window and Disappeared by Jonas Jonasson. It is a book from Sweden and translated into English. I've read reviews and it's been noted to have a "Forrest Gump" vibe. I just started last night and I'm eager to get into the plot. I tend to stay away from translated books because sometimes they read haltingly for me. So my fingers are crossed that this book entertains me and makes me smile. My knitting! I'm showing you my dead simple hat that is a fantastic knit to have on the needles. It's my third one of this pattern and what I love most is the miles of stockinette. It's great for TV knitting or more importantly, social knitting. I can talk and not make a mistake! I'm still chugging along on my shawl without a photo of the progress this week. I continue to increase for the body of the shawl. It sounds like an interesting book just from the title. Keep us posted on whether you like it or not. Nice to keep a social knitting project on the needles; I like that! A Forrest Gump vibe? I'm looking for a good novel to fall into over the summer; will stay tuned to see what you think of this one. Sounds like an interesting book. And I totally agree about translated books - it can be really tough to get into them because they just don't flow. I hope this one is great. The hat is coming along nicely and I like the yarn! Very cool hat. I am really into projects that I don't have to pay much attention to lately. That books sounds kind neat. I just love Forest Gump kind of stories. Love that blue. And I'm a fan of Cascade yarns in general! Very nice pattern ~ maybe a good one to add to my holiday to-do list. ;) I just picked up "Grace Eventually" on audio from the library but haven't started it yet ~ read by the author. Hoping to have a listen-to today! the hat knitting sounds just perfect, i do love going round and round with ss! I have this pattern in my favorites. You just moved it up my to do list, even if it's size 2 needles ... groan. I think I'm allergic to small needles/yarn. By the way, I know people I can use, "Forest Gump Vibe" with. Sounds like an interesting book, I'm reading a Scandinavian novel one at the moment too. The Summer Book by Tove Jansson whose Finnish. That's about an old lady and her relationship with a young girl. It seems to be an ok translation and like your humorous too. I'm dying to start something other than socks but everyone keeps asking me to make them...The good thing is that each pair is better than the last one. 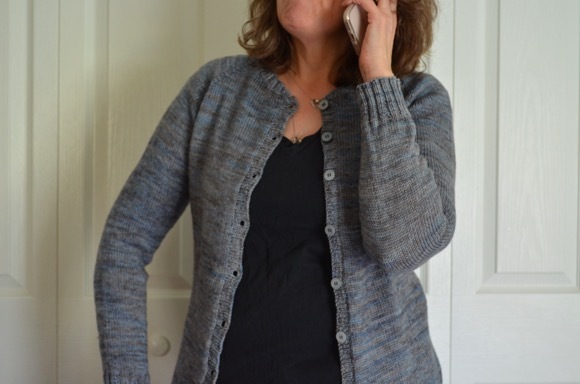 I am also learning that I need to have two kinds of knitting: TV/talking and concentrated. I tried knitting booties in front of the TV and they came out two different sizes! Good thing they were small. The colors in your hat are some of my favorites. The hat looks good in that yarn with its spiral colour effect going on. I so wish I could knit and read or watch TV at the same time, but it's a skill I don't possess. The book sounds fascinating ... I wonder if there's an audio book? I love that hat. Is it for you? I am in the market for a new hat. I always feel like the slouchies don't look good on me though. Maybe it's worth a try. 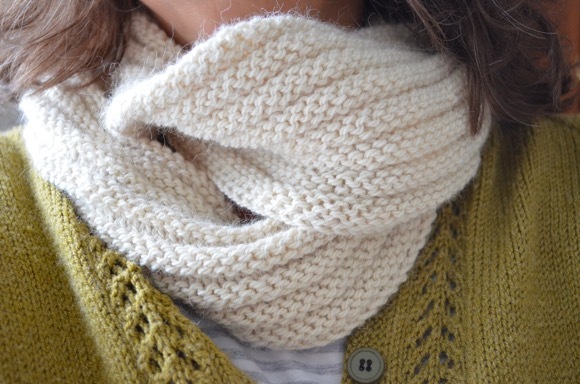 I stayed up late catching up on your blog...and the beautiful things you have knitted! I noticed you took a photography course. Was it online? I am looking for suggestions for a good one that is online. Your photos have definitely improved and your knitting, well it is always spectacular. I am glad to see that all is well with you. :Loves miles of stockinette!!! And I love your hat yarn. THe book is new to me! Your header is so pretty! The knitting is too and the book sounds very interesting. It might have been be, that was my book group book a while ago. I couldn't get into it. I struggle with translated books too, I think just the fact that I know they are translated probably puts me off in the first place, sadly. I love that hat pattern!